Recreational vehicle, mainly designed for vacations and camping, is a motorable vehicle outfitted with amenities for a comfortable living. Available in varied size, one can buy or rent them for a road trip. However, there are certain myths about RVs, which has kept people at bay from the spectacular experience of riding in this “Caravan.” So, to debunk these inaccurate perceptions, let’s explore them first and then, find out what is the reality. It is true that RV is available in varied size. In fact, it is bigger in size than the cars and other motorable vehicles parked at home. This makes people believe that a separate license and driving lessons are needed to drive RV. Truth: However, the reality is that one can own or rent this vehicle, and can drive in or out of the city with the same license; they have for driving the other vehicles. Truth: Firstly, there is no better mode of transport, when it comes to RV. With the shade, that covers each window and a door of the vehicle, it also allows for the partition to each section. Thus, it assured the safety as well as the privacy of an individual. Besides this, one of the next popular myths about RVs is that it cramps one style. However, this is completely erroneous as it has a lot to offer like, gym, clean shower and sufficient sleeping spots, which maintains one’s lifestyle without causing any hindrance to it. 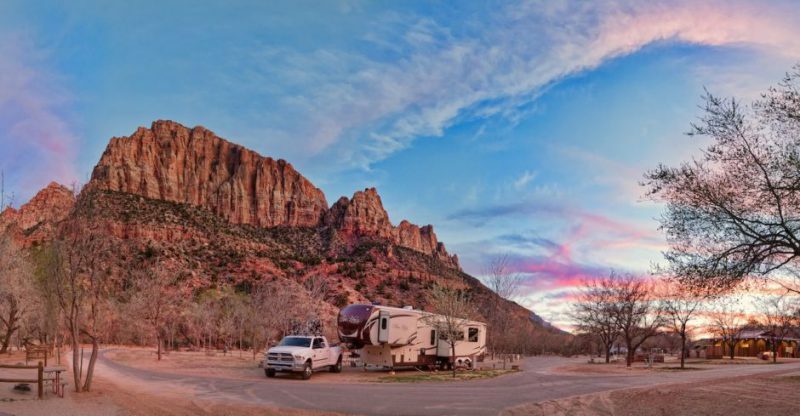 Truth: Driving to a place by RV is far better than booking an air ticket and a hotel room later. No doubt, fueling an RV requires the money to be spent. But, one can save his money by renting or buying the motor-home, according to the one’s requirement. For instance, if the lighter RV is needed, avoid the heavier one. As this would not only be an initial smart and cost-effective deal but would also save your expenses on often filling of gas while traveling. Some may claim about high maintenance cost when owning an RV. But the fact is that if you know how to deal with some small technical issues and check on your travel trailer on regular basis to keep your vehicle in tip top condition then you do not have to spend a lot. But remember to take a good care for your beloved RV from small things like choosing the right RV wax for fiberglass to scheduled maintenance. Truth: The latest technological advancements made in the RVs have made the vehicle flexible. It can now be taken anywhere, be it a desert or a steep mountainous area. Moreover, it allows an individual to decide, whether to stay and explore the place or leave the destination, after paying a visit there. Also, while traveling if the RVs need to be repaired then, one doesn’t have to worry about searching hotels/motels to stay, unlike cars. In fact, one can stay within the vehicle with his family or friends, which provides comfort like home. With ample of myths about RVs, this one states that there is no fun of living and traveling in RVs. Actually, this belief has developed from a notion that it gives a home-like feel and seems boring, if opted for camping, especially. But, the truth is that it is perfect for every age group. 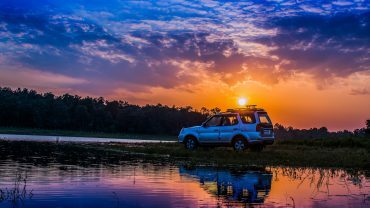 Because, apart from spending time together, the youngsters can actually drove to unexplored places for camping and can enjoy their vacation at affordable prices. Apart from this, it is the best mode to travel for everyone, be it a woman or a group of young friends. Because it allows everyone to enjoy a hassle-free journey, and take rest if fallen ill. It is believed that the “motor home” is equipped with all the basic and luxurious amenities. Therefore, it is usually preferred while going on a long trip. Truth: With a large number of people traveling via RVs on long journeys, it is also useful in case of a day trip. For instance, in case your in-laws or friends are visiting your place for a festive celebration. Then, it can act as a daylong festival space and serve as a cabin for your guests. Also, taking out children for a day, especially on weekend for a small trip in this vehicle can save you from struggling with them. People think that for driving recreational vehicle, they need to be an RV’s proficient driver. The thing that sprouted this feeling is the “Big” size of the vehicle. Truth: Like several other myths about RVs, this one is also invalid. Because, if a person is already driving a smart car in his daily routine then, he can also get the hang of RV easily. So, the “Caravan” which fits into your parking area, budget, and level of comfort, should be brought home. People feel that traveling in RV actually halts them from making new contacts or friends. Additionally, they are afraid of staying away from their friends and family on a long journey. Truth: Although travelers get worried, they don’t realize that this RV actually provides them an opportunity to travel along with their friends and family. They stay and in fact, live with their dear ones for a longer time, which also strengthens their relationship. Besides this, it gives the chance to explore the different cultures more closely and make new friends. People have a perception that RVs are meant only for natural destinations, ground camping, and natural parks. Truth: With this last misconception, it is critical to know that most of the cities offer parking areas for RVs. Thus, people can now park their RVs in the city, enjoy the nightlife and later, can ride up to the hills for a dinner at some eat-out place. So now, after knowing the reality behind the myths about RVs, if next time someone wishes for a fun on a trip then, nothing can sound better than an RV vacation.